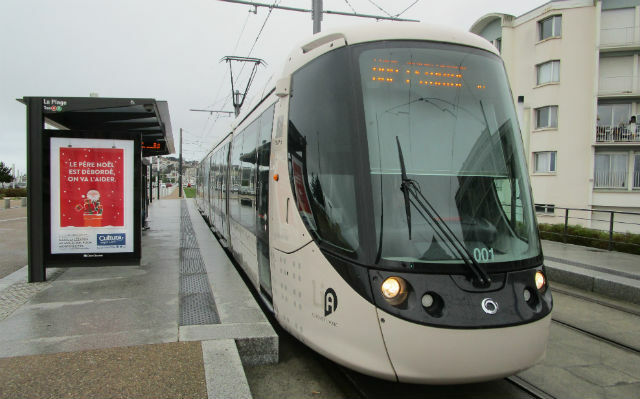 A sleek, modern tram in the French city of Le Havre. Having just returned from my second home in France, a city of 180,000 residents with a state-of-the-art tram and ultra-modern fast buses, I am again reminded of San Diego’s real dilemma in promoting public transportation. Home to Edouard Philippe, former mayor and now French Prime Minister, the city of Le Havre has been transformed through a network of mass transit that is the envy of the world. What is their secret? The import of public transit lies not so much in its utility but rather in its cultural acceptance. The reason buses fail to attract ridership in our city is embedded in a deep social stigma attached to sitting at a bus stop and giving up the luxury and pretension of driving one’s personal vehicle. This is not the case in France, where both political leaders and ordinary citizens fully embrace mass transit. San Diego leaders in both SANDAG and the Metropolitan Transit System are avoiding this simple truth by masking a cultural cancer with bandages. As a member of the Claremont Community Planning Group in 1991-93, I cast one of the first votes in support of the Mid-Coast Trolley. Unlike buses, there is something mystical and trendy about riding the rails. I knew instinctively that if we built it, they would come, unlike adding more archaic buses. The population of our San Diego was 420,000 in 1967 when I arrived as a teenager with my parents. Today it is over 1.3 million That is almost an increase of a million people. The bottlenecks in Pacific Beach and Ocean Beach will ultimately paralyze our city unless individual citizens change the cultural construct and ditch their cars. But I don’t see this happening as San Diegans are too proud to take a bus. In addition, we don’t have trolley service at San Diego International Airport, relying instead on buses skirting the airport perimeter. This is all absurd. We’re finally building the Mid-Coast Trolley, but are not planning for a line to Pacific Beach from the Balboa Avenue station. This too is absurd. Notwithstanding our over-indulgence with the automobile lurks another catastrophe: the electric scooters and dockless bikes littering our neighborhoods like trash, endangering our children, the elderly and physically challenged while serving no useful purpose except perhaps a joyride by a drunken partier in Pacific Beach. As someone who has not had a personal vehicle for most of my life and has relied on foot and pedal power, I will attest in no uncertain terms that San Diego has a deep fundamental problem in accepting public transportation. I have born witness to literally tens of thousands of cars with one occupant each during rush hour on Balboa Avenue and not one single pedestrian. This has become a moral issue. I urge the citizens of San Diego to find a way and stop making empty excuses for not relying on public transit. 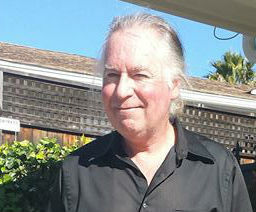 Daniel “Danny” Smiechowski is a Clairemont resident, prolific writer on education issues, and former candidate for San Diego Unified School District Board of Education and San Diego City Council.